Inspired from the world of metal constructions, slide table is based on the union of Design thinking and artisan capacity. Metal sheets create structural and functional surfaces, assembled through an oak wooden beam. 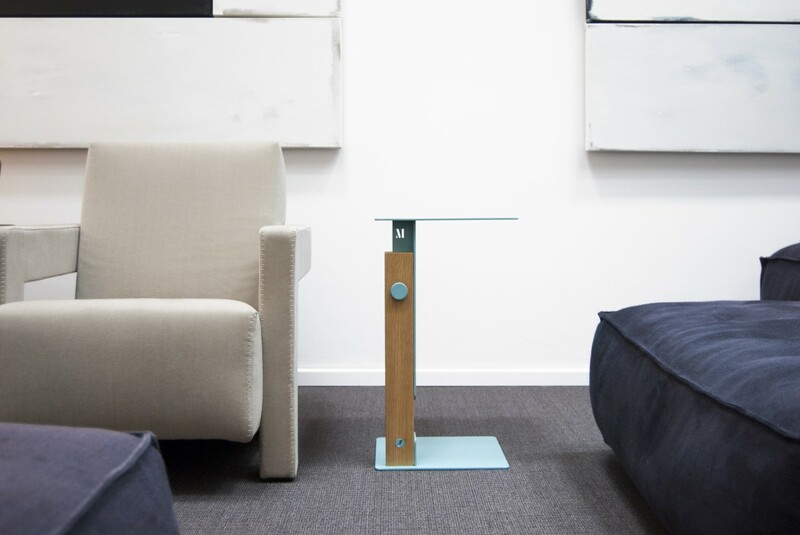 A vertical cut along the wooden beam allows users to slide the metal and thus easily adjust the table's height. Thanks to its simple mechanism and asymmetrical design, the table can be placed directly next to an armchair, a sofa, or a bed, providing a flexible solution for a large number of living and working situations. The squared base allows complex compositions of 2 or more Slide tables.